I'm an anchor for KING 5 Mornings, and have been thrilled to be part of your morning news routine for more than 20 years. There truly IS no place like home! I realized that more than ever when I landed in Seattle in 1988 – returning home from North Carolina to begin my dream job at KING 5. Never did I imagine all these years later how much of a home and family the Home Team would become. It’s not just the legacy that is KING 5; it’s award-winning journalists, the fact that the station was founded by a woman and led by the Queen of KING, Jean Enersen, a role model to me for more than three decades. We owe a debt of gratitude to KING 5's founder, Dorothy Bullitt, for her vision – and every woman working in this industry should give thanks to Jean for paving the way for each us. Is LOVE too strong a word for how I feel about the Northwest? Of course not. I was raised in Tacoma with two brothers and two sisters, including my twin, Janice. My working parents made education a priority, sending me to Western Washington University. Go Vikings! I will forever bleed blue! From there, I headed east to Spokane to become a weather caster – then farther east to North Carolina, where I eventually transitioned to the anchor desk. From there, I never looked back. The phone call that brought me home was a gift that has kept giving by way of opportunities that have taken me across the country and around the world: to Washington D.C. for a presidential inauguration, New York for the Seahawks' first-ever Super Bowl win and to London to cover the tragic death of Princess Diana. I've had the extraordinary honor of talking to legends Walter Cronkite, President Jimmy Carter, Gloria Steinem, Katherine Graham, John Denver, Michael Jordan and so many more. But YOU – my neighbors – are some of the most interesting and remarkable people I’ve met – mothers and fathers, educators and musicians, students and veterans and volunteers changing the world! YOU are the people who have shaped our community and the stories I love to tell most. Thank you for sharing so much of yourselves – from Marysville and Oso, Tacoma to Bremerton, Gig Harbor, Bellingham and beyond. Thank you for allowing me to come into your living rooms and kitchens every morning! It continues to be one of the greatest privileges of my life – one I will never take for granted. I cannot imagine doing anything else. 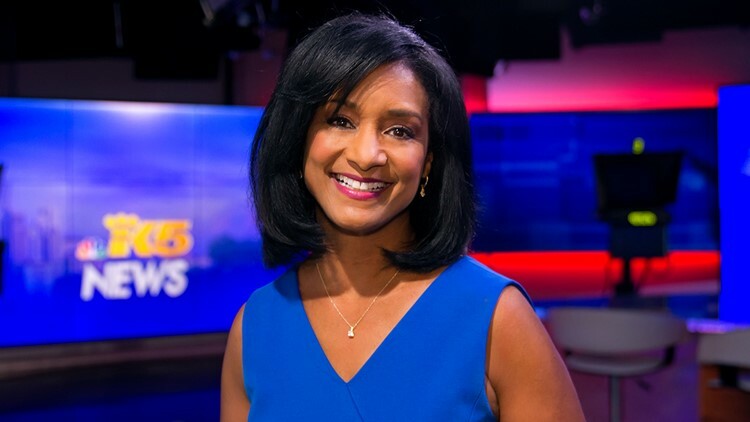 You can connect with me on Twitter @JoyceTaylorKING and Facebook, or email jtaylor@king5.com.